The winner and world champion? 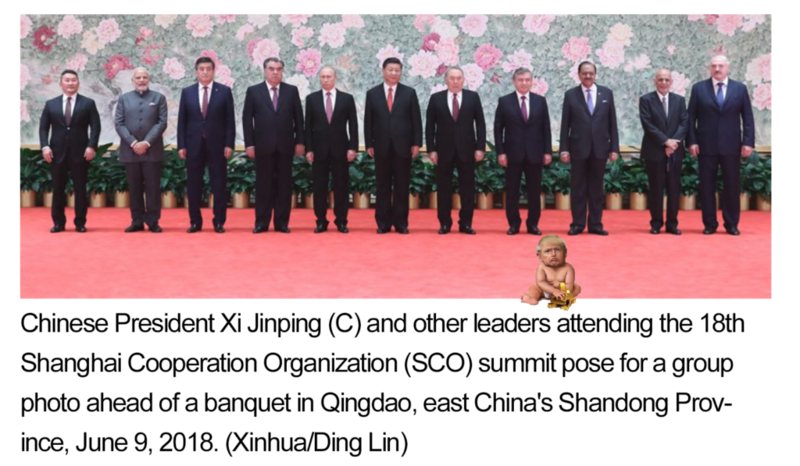 Xi Xi Ping. China will emerge as indispensable. In return for a peaceable NK, Trump will acceded to removing South Korea and likely Japan as a US ally. Beijing will help both sides keep their promises on expected ‘symbolic deals’ made in Singapore, according to Chinese analysts. Posted 11 Jun 2018 by theaveeditor in America, Donald Trump, Misc.